(TORONTO, ON - November 9, 2017) - Toyota Canada Inc. announced on Thursday it will be an Official Partner of both the Canadian Paralympic Committee and the Canadian Olympic Committee for the next eight years. 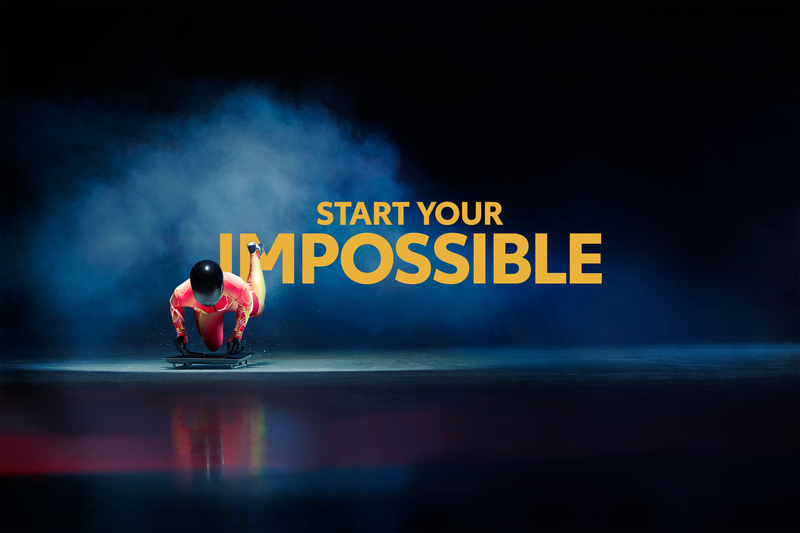 The company is marking the occasion with the Canadian launch of a global marketing campaign featuring 10 Canadian athletes with extraordinarily inspirational stories. Beginning with the Olympic and Paralympic Winter Games PyeongChang 2018, Toyota will serve as the Official Mobility Partner of Team Canada through to 2024. Through these partnerships, Toyota is hoping to inspire more Canadians to reach their potential and to achieve what may seem to be impossible in their lives, while supporting the elite Canadian athletes who provide this inspiration as they chase their Paralympic and Olympic dreams. Toyota’s Canadian partnerships follow the global sponsorship agreement Toyota Motor Corporation announced to become the first mobility sponsor of the Olympic Games and the Paralympic Games. “Toyota shares its values of continuous improvement and respect for people with Canada’s Paralympic and Olympic athletes, who challenge their own limits every day and gather together every four years to celebrate the highest realization of human potential,” added Hutchinson. Sudarshan Gautam (Brampton, Ontario) is the first person without arms to have reached the summit of Mount Everest without the use of prosthetics. At the age of 13, Gautam lost both of his arms in an electrical accident. He taught himself to write, use a computer, and drive – all with his feet. In 2005, Gautam began climbing mountains to further prove that disability does not equal inability. He was a special guest at the first-ever Toyota Mobility Summit in Athens, Greece on October 16. Kicking off his hockey career in 1945, John Snesar (Abbotsford, British Columbia) has played for several notable teams including the Vancouver Flyers from 1954 to 1962. For the past 30 years, he’s been a goalie for the Abbotsford Police Department hockey team. John was a special guest at the first-ever Toyota Mobility Summit in Athens, Greece on October 16. Earlier this year, Toyota solidified its commitment to Canadian sport, announcing partnerships with four of Canada’s national sports organizations: Canada Basketball, Wheelchair Basketball Canada, Canada Soccer, and Freestyle Canada. Toyota Canada Inc. (TCI) is the exclusive Canadian distributor of Toyota and Lexus vehicles. Toyota has sold over 5 million vehicles in Canada through a national network of 287 Toyota and Lexus dealerships. Toyota is dedicated to bringing safety, quality, dependability and reliability in the vehicles Canadians drive and the service they receive. TCI's head office is located in Toronto, with regional offices in Vancouver, Calgary, Montreal and Halifax and parts distribution centres in Toronto and Vancouver. Toyota operates two manufacturing facilities in Canada. Having produced more than seven million vehicles, popular Canadian models built at these facilities include Toyota RAV4, Toyota Corolla, Lexus RX 350 and RX 450h hybrid. For more information on Toyota and Toyota products, please visit: www.toyota.ca.